Mr and Mrs Previous Owner came to visit this morning on their way back from voting and I learnt some interesting facts about the weather vane on the top of the garage. We were talking about the aspect of the house, which Relationnel was convinced was south-facing. It seems it actually faces south-east. 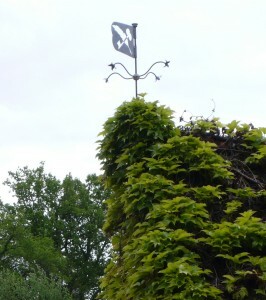 Mrs Previous Owner pointed out that you can tell from the weather vane. Relationnel was not convinced because he thought it only indicated the direction of the wind as it doesn’t have an N on it. They also indicated the best market to go to. We went to the main market in Blois yesterday. It was very attractive and the people were friendly but we were horrified at the prices which are even higher than those on Rue Montorgueil in Paris and we thought they were bad! 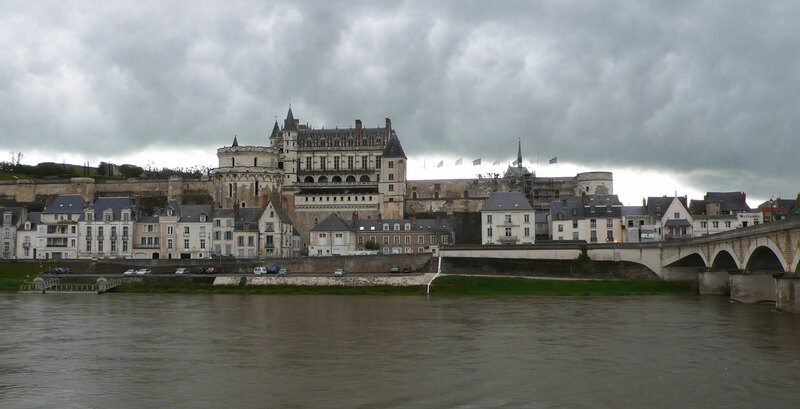 It seems there are two markets on the outskirts of Blois in the high-rise areas where there are a lot of North Africans, that are much more reasonably priced. We’ve already noticed in the past that the “hallal” butchers sell very tasty lamb for half the price you pay at a regular butcher’s. So next time, we’ll be going there. I also asked them about the delinquent birds. At 2 o’clock in the morning, you can hear birds outside our bedroom window chirping away like nothing on earth. They don’t bother me, but I think it’s very strange. 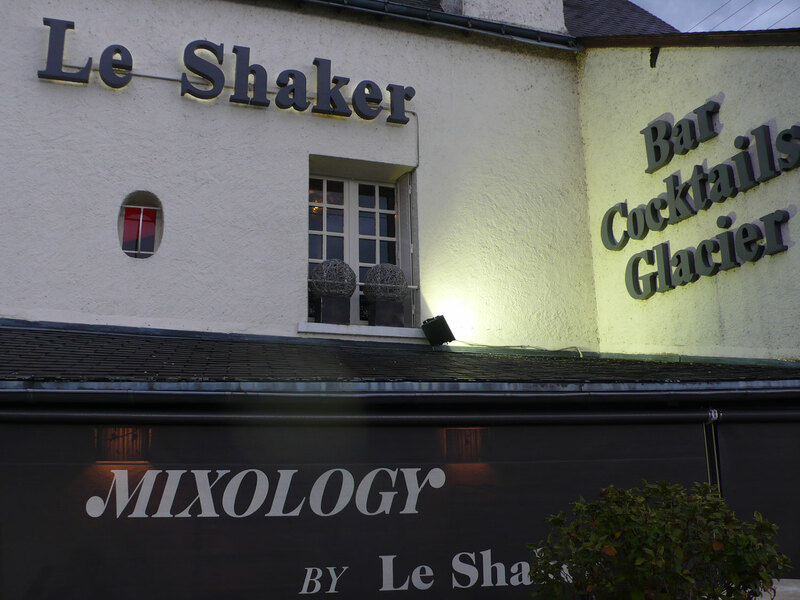 When we got back from The Shaker in Amboise on Friday night (our very first social outing since we got the keys to the house) where we met up with a group of Anglophones and Anglophiles who meet there regularly (first Friday of the month), you would have thought it was broad daylight. It turns out they’re rossignols (nightingales). If you click here, you can here what they sound like – it’s definitely them! I’d recognise them anywhere. The other thing that Mr and Mrs Previous Owner helped us with is the safe. When it was explained to me initially, I thought I understood but when I tried to use it when I was locking up the house for the first time on my own, all I did was make it freeze up completely. I couldn’t even get it open. When Relationnel came, he was afraid I’d somehow put another combination on it but you’ll be pleased to hear that it’s working again and I can now leave all my rubies and diamonds safely behind and things might stop disappearing and reappearing! 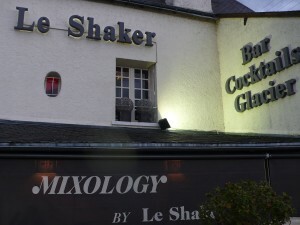 This entry was posted in French customs, Loire Valley and tagged Amboise, The Shaker, weather vane. Bookmark the permalink. Thanks! I loved hearing the sound of the nightinggale. Coincidentally, I had read the fairy tale, The Nightingale, to my students on Friday. I’ll play your link to them tomorrow (today is a public holiday) so they can hear why the king loved the song of the nightingale so much. Music to the ears! I’ll be interested to hear what they think of it! It is, isn’t it? Mr Previous owner put so much time, energy and love into the house that it must be hard to come back and see someone else in it! Mrs Previous Owner liked the fact that we have a lot less furniture because it makes the rooms seem bigger and emphasises their features more.